Titled “Seoul Connection” may almost suggest this is about some great R&B recording. 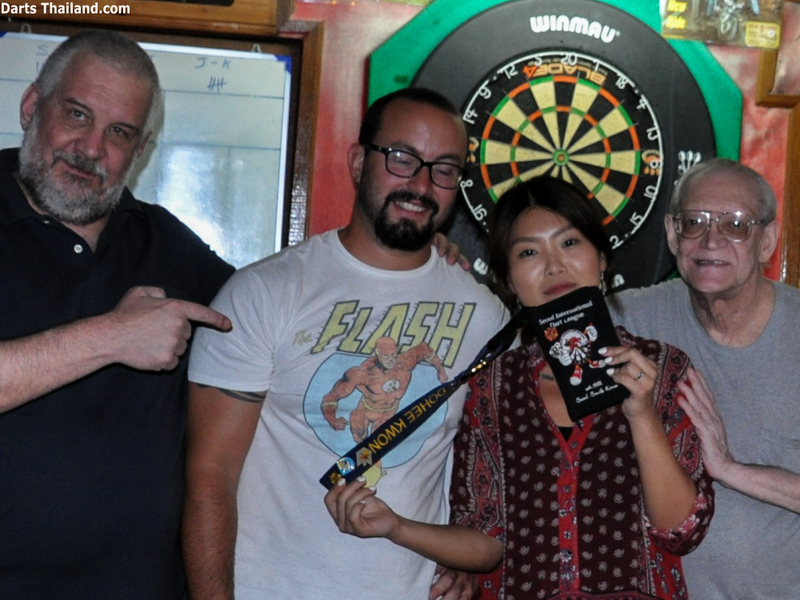 But no, this is about our local connection at New Cowboy Darts Club (NCDC) with the Seoul International Darts League (SIDL). 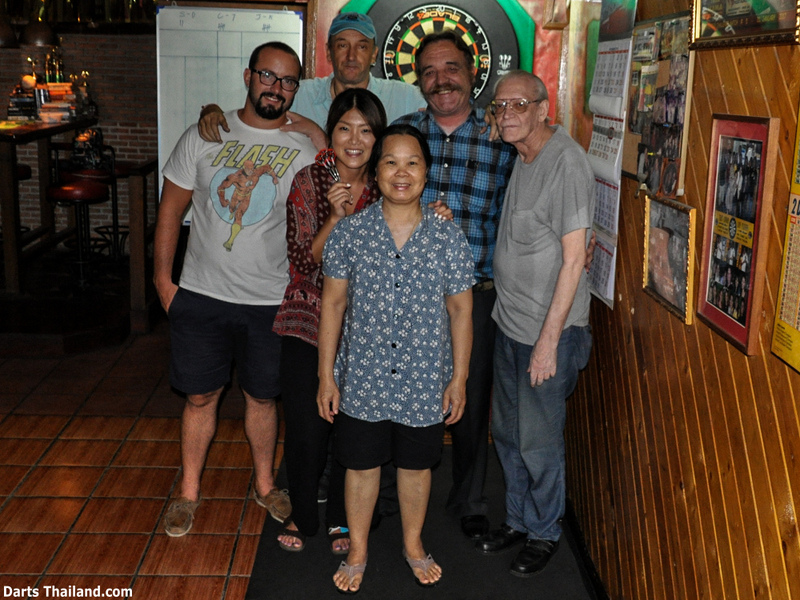 Bangkok darts players have enjoyed meeting SIDL players visiting Thailand at the oche for many years. And as of late our Bangkok players who are alumni of SIDL is growing. 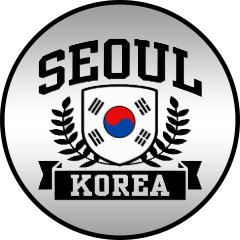 Work assignments seems to be moving more SIDL players to Bangkok and we’re most happy to welcome them to our ranks. 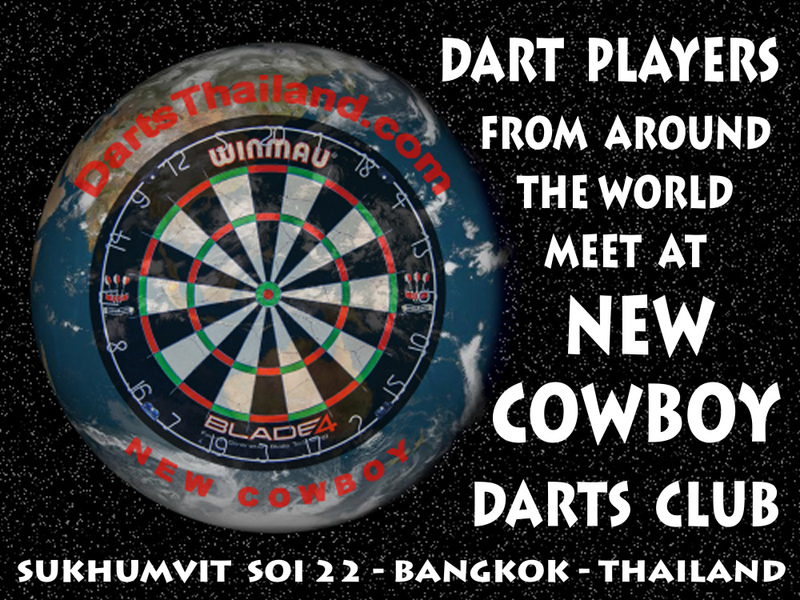 SIDL Alumni Roster: – Our good friend and long-time Bangkok darts legend CW has been playing out of New Cowboy longer than some of you have been playing darts. Before that – CW was an active member of SIDL. Johnny is another alumni of SIDL now also playing out of New Cowboy. He’s currently on DT assignment in CA with Miss Sac Su. One of our more recent additions to the NCDC is the lovely Miss Do Hee. She’s quite the enthusiastic player armed with her SIDL case and arsenal of darts. 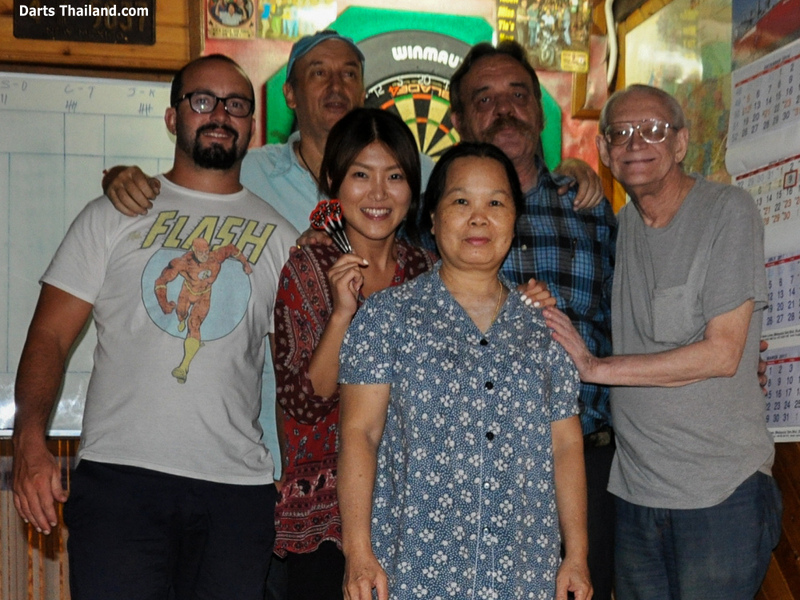 And most recent on the Bangkok darts scene – we’d like to offer a warm darts welcome to Jay. These four are now our New Cowboy SIDL alumni regulars. Hope to meet you at our darts oche. 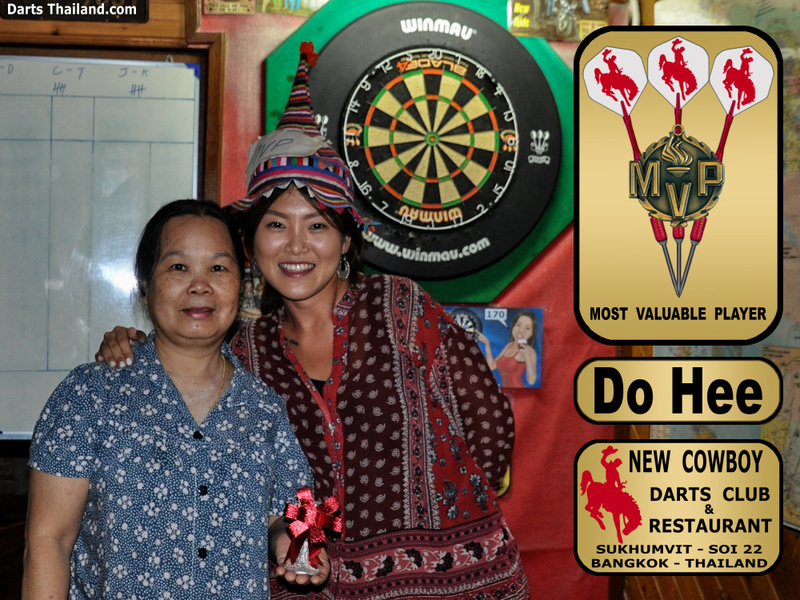 DartsThailand.com © 2015. All Rights Reserved.